Maui;s Premiere Stand Up Paddle Board & Surfboard Rentals! Need to rent a Stand-up paddle board, longboard, fun board, shortboard or fish board on Maui? Kihei, Wailea, Makena, Lahaina, Kaanapali, Kahana, Napili, Kapalua, Maui’s north shore and the rest. Whether you’ve just started surfing, a seasoned rider, or anywhere in between, Island Maui Surfboard Rentals has the right board for you! We are proud to offer high quality shortboards, longboards and SUP’s – Stand up paddle board – from top brands and models. 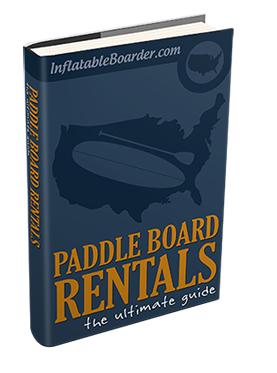 Why Island surfboard rentals for your Maui surfboard rentals & SUP – Stand up paddle board rentals needs? It’s very simple! To save you the hustle of driving around looking for a surf board rentals and stress about returning it on time, not to mention the time you wasted doing so. We will come to you! We will free deliver any surfboard, sup – paddle board directly to your location and come to pick it up for free, with flexible time and your convenience in mind. Having the right surfboard, long board or SUP – Stand up paddle board rental is crucial to your plesent expiriance! The stuff at Island Surfboard Rentals are all expirience Maui waterman and we will make sure to match you with the perfect board according to your level, the conditions and the type of use you intend to do with the board. Try Stand-Up Paddle Boarding! You gonna love it! Stand up paddle boarding (SUP) has become one of the most desired Maui activities and not just on Maui…Stand-up paddle boarding is one of the most popular water recreation sport all over the world! SUP (stand-up paddle board) is the ultimate all around water recreation sport! We will make sure to get the right Stand up paddle board (SUP) for you based on your experience and specific needs! We will provide a Free “The basics” Stand up paddle boarding -SUP- Lesson with every rental. All paddle board rentals includes a paddle and a leash. Universal soft racks and straps are complimentary with every rental. Stand Up PaddleBoard or SUP was made popular by the legendary surfer, Laird Hamilton and some of his Maui surfer friends. From the moment he was seen using this unconventional surfing board, surfers from all over the world started using it too. Yes, surfing and riding the waves has always been a favorite pastime in Hawaii but since SUP was introduced, it has become a “specialized” or a “niche” form of surfing. NEW ! GoPro HERO 3 is now available for rent. All GoPro Rentals includes: GoPro HERO 3 camera with water housing, USB cable, Flash card and card adapter, board mount, safety leash and user guide. NEW ! Race & Fitness SUP (Paddle Board) is now available for rent! This paddle board (SUP) is ideal for any paddler looking for a fast and stable displacement hull board. The rider can slice thru the water with ease while feeling extra stable thanks to the wider platform and concave shape. The unique shape of the displacement nose allows for stability and speed in both flatwater and chop. Perfect for all your touring needs.